Everything You Need To Know About Bartending. 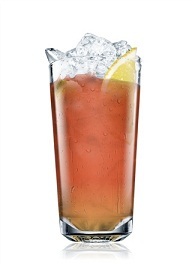 The Absolut Mandrin Punch Cocktail is an Absolut Mandrin and Ginger Ale cocktail served in a highball glass. Fill a highball glass with ice. Add Absolut Mandrin and pineapple juice. Garnish with lemon and lime. Looking For A Bartending or Cocktail Gift? Tee Shirts, Party Invitations and more! Check us out here at Zazzle!